Long winters take their toll on fashion because, let’s face it, it’s hard to get excited about clothes when you’re just trying to make it through another week of gray skies and biting winds. So if your style lineup is lacking excitement right about now, we feel you. But we also think you and your wardrobe could use a wake up call. With feel-good weather on its way (depending on where you live, of course), it’s time you shook things up in the shirt department. Adding micro-prints (small scale polka dots, florals, and geometric patterns) to your button-down and T-shirt routine is the perfect way to welcome spring and gently push you out of your comfort zone. 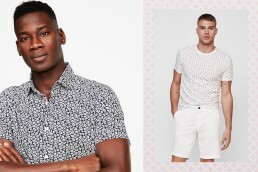 Whether you’re swapping out a plain white dress shirt or trying out florals for the first time, these little prints will be your gutsy style guides on the road to a more energetic way of dressing. Menswear trends are all over the map these days. And that can be confusing for guys who want to look good but don’t necessarily feel comfortable in bright colors or bold patterns. Sure you could just lean into wearing all black all the time (we’ll get to that), but a low-risk micro-print button down is an easy way to try something new. Because the crisp geometric pattern is so small, from far away they make this white shirt with blue diamonds look like a solid light blue shirt. Don’t be surprised if you notice your coworkers complimenting the new shirt swap. And it may even help you appear more curious and willing to try new things at work. 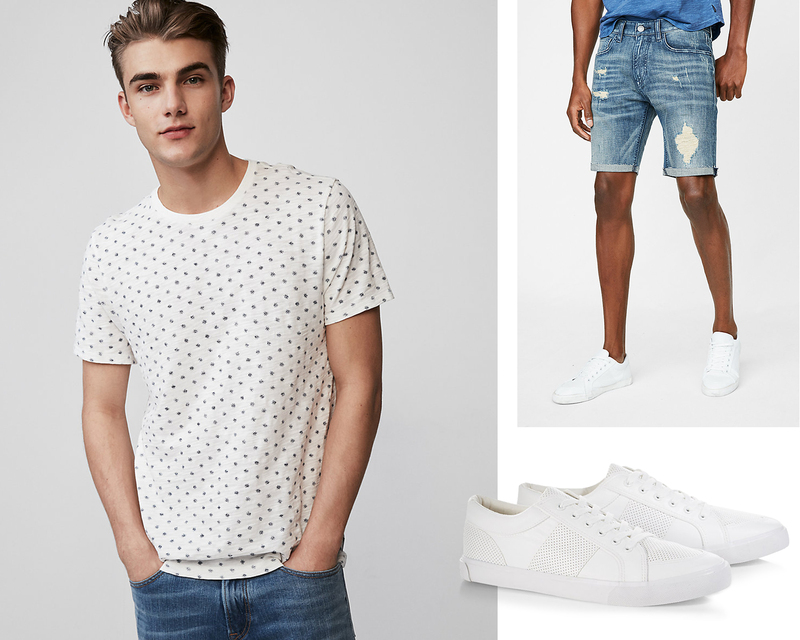 If finding your personal style is all about experimentation, let this shirt be your first trial run. Maybe you’re totally fine with taking style risks, but you also have a habit of dropping mustard, hot sauce, and beer on your shirt. Maybe toothpaste and coffee are abnormally attracted to your newly washed button-downs. If this is your achilles heel, don’t sweat it—learn to hide it. 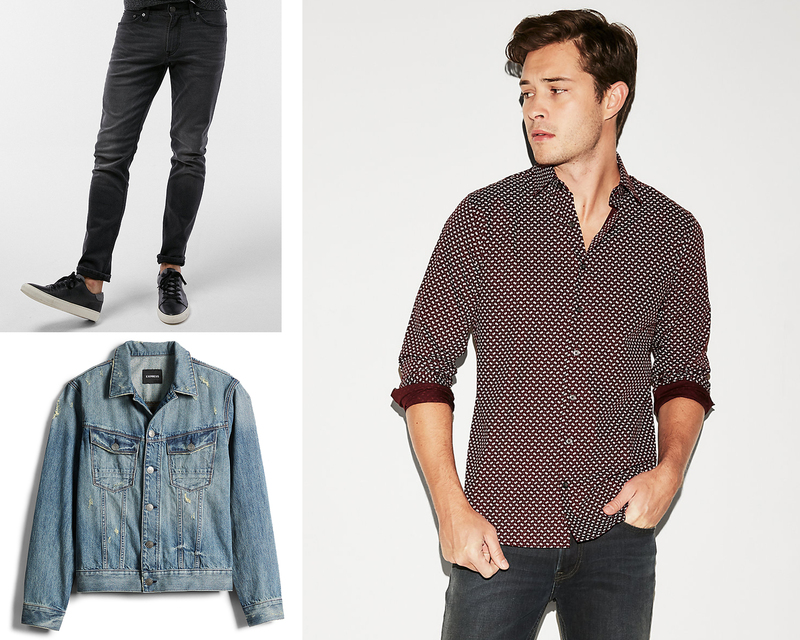 Because of their impressionistic nature, shirts with micro-prints do a bang up job of hiding stains. In fact, food, ink, dirt, and whatever else you manage to spill blend into patterned clothing 1,000% better than clothing with blocks of solid-colored areas. More apt to spill something dark like coffee or wine? Go for a shirt with a darker background color. More likely to drip toothpaste on yourself in the morning? Grab one with a light-colored base. Small scale prints are also a great layering tool, adding texture and depth to otherwise more uniformly colored outfits. This is crucial, because without varied tones or patterns a too-matchy monochromatic fit will make you look more like a anthropomorphic crayon than a man who knows how to dress well. 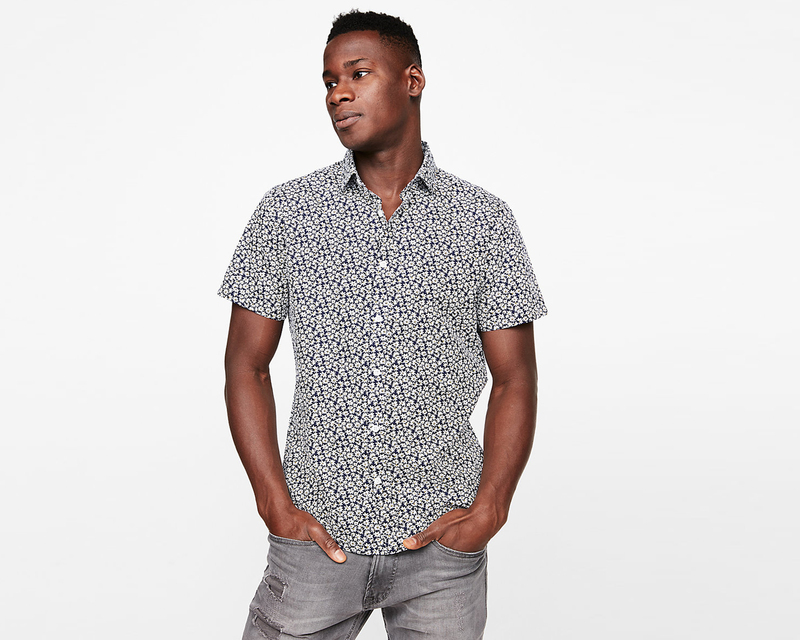 So if you really are the dude who wears nothing but black, navy, or gray this short-sleeve button down covered in tiny white flowers will amp up your daily uniform without disrupting your self-imposed style rules. Patterns get people’s attention. Micro-sized patterns draw them in for a closer look. So next time you want to jumpstart a conversation on a first date or out at your local bar, wear something that requires closer examination. Your new friend will have to lean in close to tell if your T-shirt is boasting tiny dots or tiny nautical embellishments. And once they do, a deeper connection is formed. The same idea works for business meetings or dinners with your in-laws. Sometimes social situations need a little spark, and your new shirt can be the jumper cables.